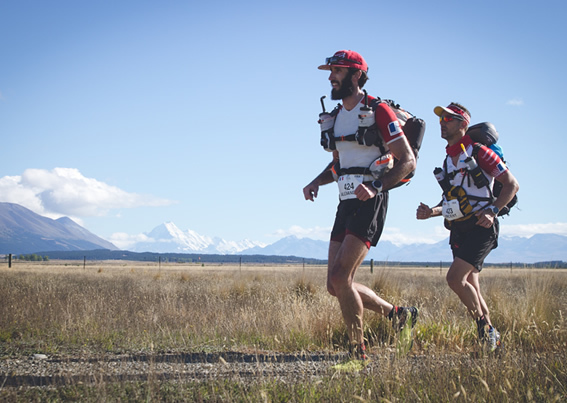 Overseas competitors make up the majority of athletes for the second running of New Zealand's first ultra-staged race that has attracted competitors from 15 countries. Starting again this year at the base of Mt Cook on Sunday the 24th of February the Anchor Milk Otago Alps 2 Ocean Ultra in one week travels 323 kilometres to Oamaru in North Otago following the off road Alps 2 Ocean cycle trail for much of the journey, with about a quarter of this year’s event going through private farmland. Interest was so high in the event it quickly sold out with almost two thirds of the 120 competitors coming from 14 overseas countries with Australia providing 34, the largest number of off shore athletes. Technically an ‘ultra-run’ is defined as anything longer than the standard marathon distance of 42 kilometres, but that’s where any similarity ends. Sandri says that more and more people around the world are taking on races that last for days rather than hours adding that ultra-running is a slightly crazy but highly addictive world. “At the end of the day it’s all about the people and the incredibly supportive environment that ultra-running inspires,” he said. Sandri, who has competed in ultra-running events overseas so knows what the athletes are going through, will once again be there at the start of every day and will greet every single person as they cross the finish line of each stage, often well into the evening. He shares the excitement, heartaches and pain as each runner finishes every gruelling stage, and gets up again the next day to do it all over again. Sandri stresses it’s a it’s a very committed team effort who all contribute their time at no cost to the event with a real focus on raising as much money as possible to put back into the local community with a real focus on youth. The event has raised over $270,000 dollars a result Sandri and his team are very proud of with $31,000 already going to the Alps 2 Ocean trial and another $25,000 going to local youth to support their dreams. The success of last year’s event has seen even more local support from farmers who have opened up more access meaning runners will have less time on gravel roads. Sandri says it’s clear that ultra-runners all run for many different reasons, all bound together with a shared passion for running and the outdoors and that ultra-running is a personal challenge and often is a life changing experience. He is quick to point out there is a fine line calling Anchor Milk Otago Alps 2 Ocean Ultra extreme as we live in a world where people are doing everything from cliff wingsuit jumps to extreme skiing, with the parameters ranging widely.